If you know anything about Notre Dame's backup quarterback Brandon Wimbush, you may want to rethink any Saturday bets on the Florida State-Notre Dame game. 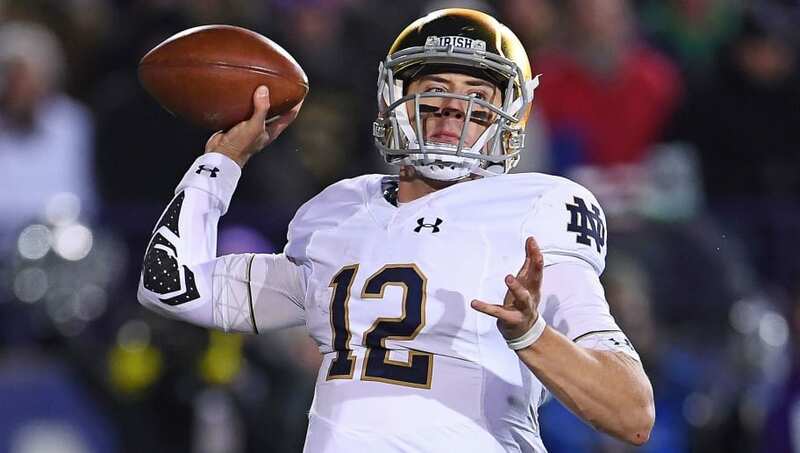 Fighting Irish starting QB and offensive catalyst Ian Book has been ruled out of the Fighting Irish's Week 11 game against Florida State due to multiple midsection injuries and sore ribs, and the bookmakers are making the gravity of his absence very clear. Especially if you were thinking about touching either side of the game's total over/under or Notre Dame's total points. Saturday's matchup in South Bend on Saturday night has already dropped Notre Dame from minus-17.5-point favorites to minus-16.5-point favorites via FanDuel Sportsbook. The combined scoring total has also reflected a similar drop from 55 to 53 points. Ever since winning the starting job over Wimbush between Week 3 and 4, Book has been the offensive playmaker the Fighting Irish desperately needed. Notre Dame averaged 23.33 points per game across their first three games with Wimbush under center, but the Fighting Irish have now averaged 38.33 PPG in their last six games with Book under center. As for College Football Playoff aspirations and odds to win it all, Notre Dame likely caught a break with Book missing Week 11's matchup with a vastly underwhelming Florida State program coming to town. However, if Book is still out for next week's bout with No. 13 Syracuse or Week 13's road battle against USC, Notre Dame's +1400 odds to win the CFP may be in serious danger of dropping off the map.